Boxing middleweight Gennady Golovkin reportedly considering two names for his return to the ring since his first career defeat. After suffering the first defeat of his career in September, Gennady Golovkin is plotting his return to the squared circle. 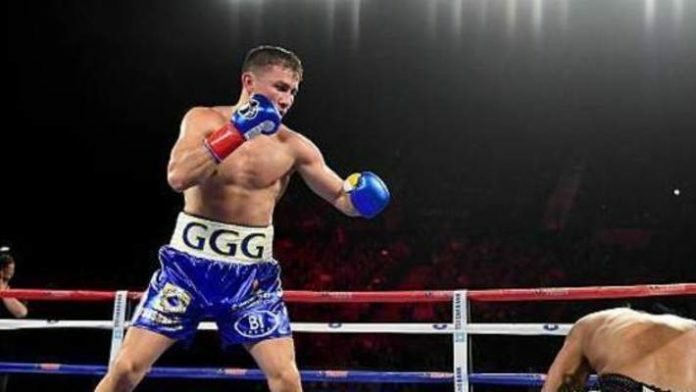 “GGG” was defeated by Canelo Alvarez by way of a controversial decision last year, handing Golovkin the first defeat of his career. Now, ESPN reports Golovkin is eyeing a return fight at 164 pounds, four pounds over the middleweight limit. The non-title fight would be the first of Golovkin’s new three-year, six-fight deal with the DAZN streaming service. ESPN is reporting that Golovkin has made offers to both Steve Rolls and Hassan N’Dam for the fight. If Golovkin emerges victorious in his next outing, and Alvarez defeats Daniel Jacobs in their upcoming middleweight unification bout, a trilogy match between “GGG” and Canelo could happen in September. Alvarez faces Jacobs from the T-Mobile Arena in Las Vegas, Nevada on May 4. Jacobs’ IBF middleweight title is on the line, as well as Alvarez’s WBA (Super), WBC, The Ring, and lineal middleweight titles. Who do you want to see Golovkin fight upon his return to the ring?